One of the most eagerly awaited ties of the group stages is the match between Spain and Holland – a repeat of the 2010 World Cup final. Click here for our in-depth review of this encounter. With luck, the animus of four years ago will have given way to a decent game of football. Tonight sees a repeat of the 2010 World Cup final between Spain and Holland. That match is still a game that haunts the Dutch forward Arjen Robben. The Bayern winger was through one-on-one in Johannesburg with the score 0-0 but was denied by the outstretched leg of Spain’s Iker Casillas – Spain went on to win the game after extra-time thanks to Andres Iniesta’s goal. Here him talk about that moment. We’ve dubbed this match the clash of the Perennial Underachievers vs the Late Arrivals. 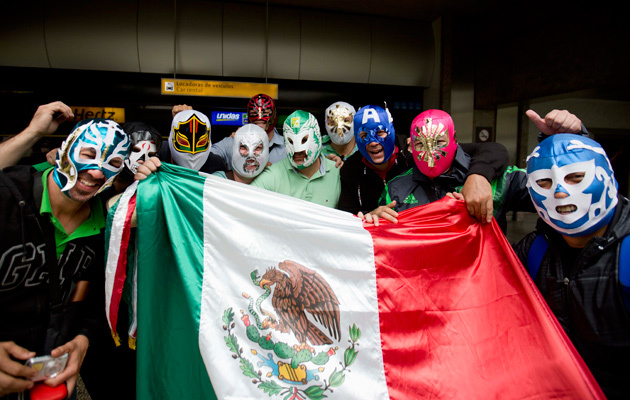 Given the size of Mexico and it’s deep rooted football culture, el Tri really should be one of the emerging superpowers of the game. Meanwhile, Cameroon arrived late to the party after their players refused to travel to Brazil in a row over bonuses. Both teams have got plenty to prove in Natal this afternoon. To read our full preview of this Group A encounter, click here. Brazil continues to conjure up some memorable images. Today’s gallery reflects events taking place on Day 1 and includes this stunning shot from the opening match. 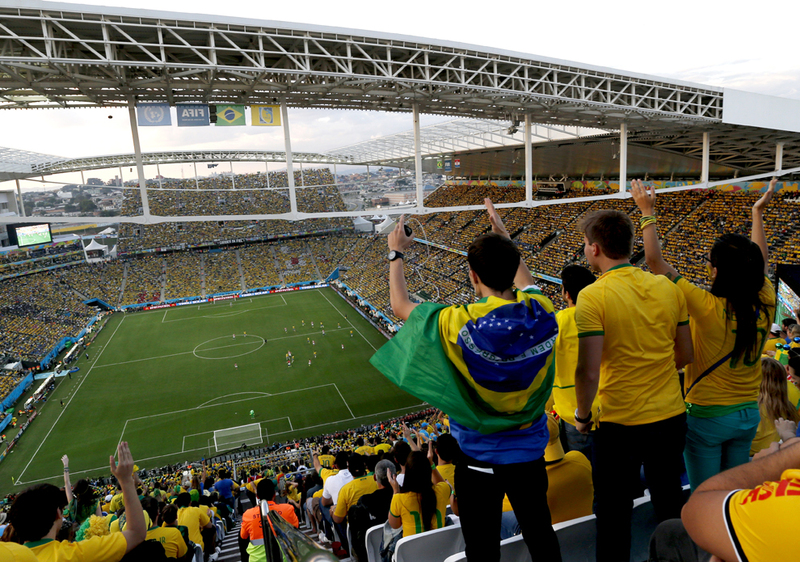 Spectators watch the first half of the World Cup opening match between Brazil and Croatia at Itaquerao Stadium in Sao Paulo. Although the opening day of the World Cup passed off relatively peacefully, there were still demonstrations in several major cities. Perhaps the worst trouble took place in Sao Paulo, shortly before the World Cup opening match between hosts Brazil and Croatia. Several hundred riot police used force to subdue a crowd of 200 demonstrators marching under the banner “Without Rights, There Won’t Be A World Cup“. Later today, Australia open their campaign against Chile. 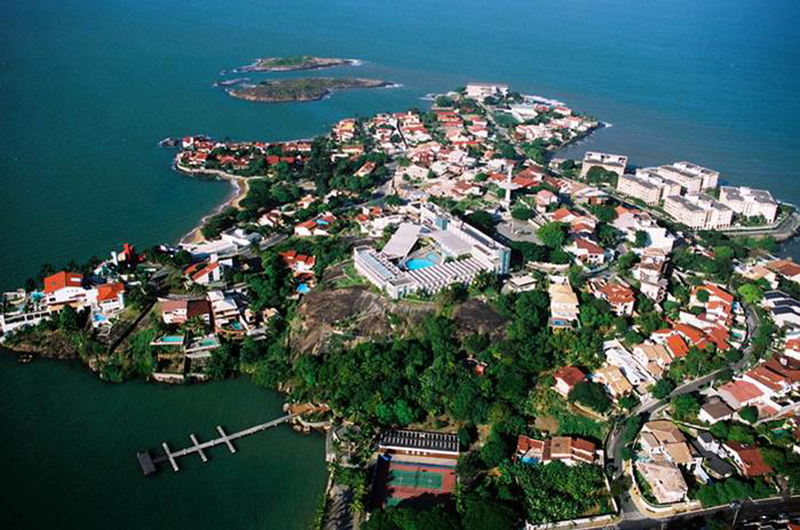 The Socceroos managed to bag themselves one of the more picturesque training bases for their stay in Brazil. The team is staying at the rather lovely Hotel Ilha do Bois in Vitoria. Ange Postecoglou’s team play Chile first in Cuiaba, a flight that takes two hours and 11 minutes from Vitoria. “If that’s a penalty, then we can just stop playing football right now. “Let’s play basketball instead. It’s shameful. We talk about respect, but there wasn’t any respect for Croatia. “If that’s how we start the World Cup, then we may as well give up and go home now. “This was ridiculous and if we continue in this way we will have a circus. Croatia coach Niko Kovac expresses his anger over the controversial penalty awarded against his side in their opening match defeat to Brazil. Whichever angle you look at it from, this was not a penalty. Lionel Messi wants $35 million a year? Dyke says report has been undermined by comments made by Michael Garcia. Claims all payments were cleared by FIFA in advance. 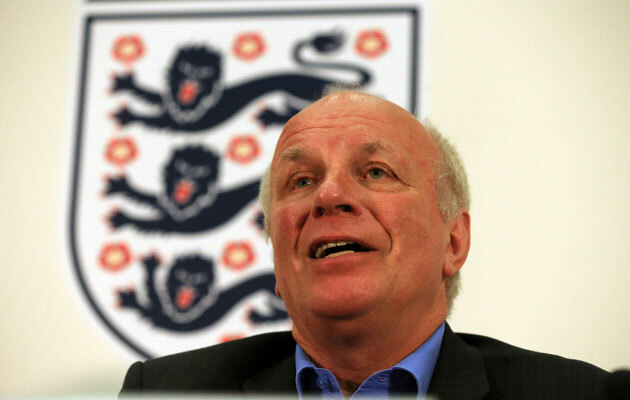 FIFA’s report into the bidding process for the 2018 and 2022 World Cups has been described as ‘a joke’, by English Football Association chairman Greg Dyke. Dyke spoke after Michael Garcia, the man who investigated claims of wrongdoing and upon his findings the report is based, said the report was “erroneous”. “It has undermined the whole process,” Dyke told BBC Sport, adding that it now looked “pretty ugly for FIFA”. The report cleared Russia and Qatar of corruption claims but criticised the FA for behaving in a manner which undermined FIFA. American lawyer Michael Garcia, who spent two years investigating claims of corrupiton, was dismayed by the interim report and says he will appeal against its findings to FIFA’a appeals committee. He said Eckert’s findings contained “numerous materially incomplete and erroneous representations”. Dyke seized upon Garcia’s remarks, suggesting that they had fatally undermined the credibility of Eckert’s report. “I think it’s now pretty ugly for FIFA if the person who did the inquiry says the judge hasn’t properly reflected his inquiry,” added Dyke. The FA was accused of trying to “curry favour” with former FIFA vice-president Jack Warner, the Trinidad and Tobago official who quit his role in 2011 amid bribery allegations. However, Dyke insisted the FA had “nothing to hide” and that their dealings with Warner were cleared in advance by Warner. .
“Within that report, most of the criticism is of people who cooperated the most fully,” he said. “If you actually didn’t cooperate, you don’t get criticised, which seems very weird to me. “The FA, I don’t think on this, has got anything to hide.